Version 1.4 has been released! 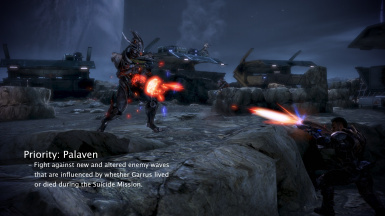 This does not include a mission updated with randomized/decision-based combat, instead the focus has been improving immersion by providing canon-accurate weapons to the different races and enemies. If you use Mod Manager you can just drag the .rar file into the program and it will add the mod to the program, be sure to use Apply though. If you don't, then extract the DLC_MOD_Respawn folder from the .rar, add that to the DLC folder in your ME3 directory, and then use autoTOC. Could you please tell me what part of the mission has the glitches? I am not able to fix them without knowing. 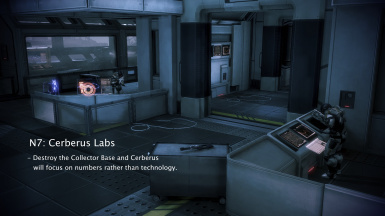 3) priority: Cerberus headquarters: as the mission progresses, there is a staircase in one of the rooms, and you need to interact with it further down the level, but the mission does not continue because of the gathering of Cerberus soldiers at the top of the stairs. 1) Which Atlas? The first one when you first see Jack, or in the garden? 2) I'll try and fix it for a next update, but I've never come across that before. 3) I fixed that, I spent ages getting all the spawns to change so that the bug can never happen again. Are you certain you are using the latest version of the mod? 3) maybe there is some order of installation? Should the installation order be like this or am I somewhere wrong? or fashion conflicts with each other? I am having the same issue (door after 2nd ATLAS in Atrium won't open unless Respawn is deactivated) with a similar mod setup. Could you both let me know how you take on the Atrium to get this bug? I've never experienced it. Just here to second these bugs. 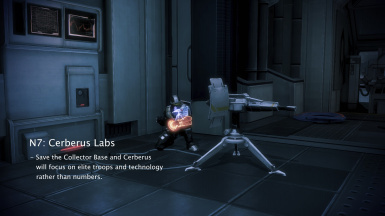 Haven't reach the Cerberus HQ one yet, but I had to use the no clip command to get through the door in Grissom Academy, and can't complete the Cerberus abductions one. If you could tell me how you approached the combat in these sections, that would help. Every time I play it, I do not get the bug, so I need to replicate the conditions you're all using. That includes how you tend to fight the battles. Hello, How i should install Respawn Mission Overhaul v1.4 - ARK Mod Compatibility? It only contains ppc files without any folder or even instruction. One problem. Little ammunition. How to decide? What's the difference between vanilla RMO and the compatiblity versions for ARK and PEOM? Did you simply remove the conflicting PCCs or did you make edits that make common PCCs compatible with each one? Hrm. Okay. We have a 3-way tie b/w Ark, MDSM, and RMO. I just installed the most current version of each so I can document what users have to do to avoid conflict when choosing superseding PCC files. There shouldn't be much to worry about. Hmm weird. My original comment is gone. Must've shutdown before saving. Anyway, I finished Ark a few days ago. 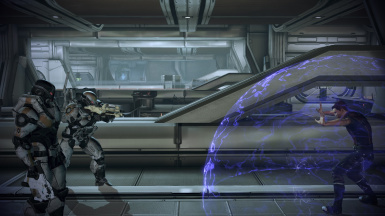 The N7 missions still felt more like a shooting gallery than challenge balanced. I had to fight the urge to up the difficulty configuration. I noticed there were still a few clutter bugs remaining: 1) on Omega at the elevator when meeting the turian survivor 2) during the Citadel coup, guardians are supposed drop from an overhanging balcony in a lobby. At the start of Rannoch crash site, the original issue of your teammates no longer helping still occurs. I'm only halfway through so if I come across anymore issues I'll just update this comment. It's possible, I've played it through many times. It's just difficult. If you find it too hard, I recommend reducing the difficulty. Really love this mod, the game is better for it. The theme of all-out warfare is better conveyed this way. Challenging but not overbearing. 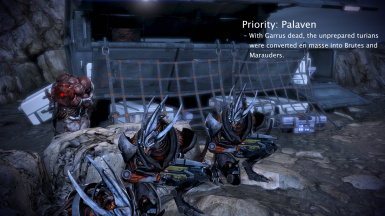 Hello, i've installed it and had a nice run overall, but when i got to the part of "Priority Thessia" where the first banshee enemy is supposed to appear after clearing the initial group of enemies and Liara makes a comment about that - Banshee didn't actually spawn, which means door is locked and i can't progress further. Anyone had the same problem? That's strange... that shouldn't happen anymore, that was fixed long ago. It could be a fluke bug. Have you retried since? Hello! 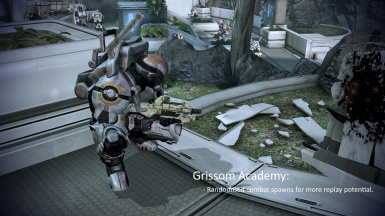 I'm having a bug in the Grissom Academy mission in the first part of the Atrium. After killing all the enemies and that single mech the door does not open. I'm not able to proceed with the mission. EDIT: I tried disabling Respawn and the door opened in the first part of the Atrium. I haven't tested the same for the second part of the Atrium where another door is supposed to open. Please look into this issue. 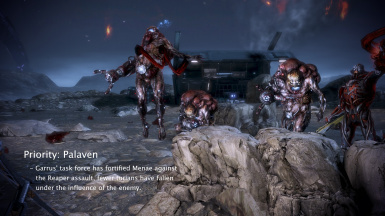 EDIT: I encountered a similar error in N7 Cerberus Abductions. After the first wave Cortez didn't contact me. When I disabled the mod the mission went well. I'd really like to know what's causing this issue. I'm having this same issue. How exactly do you disable respawn? I just want to get past this mission. Is it actually possible to complete Priority Thessia on Insanity with this mod? This is the first time I've reached a spot where I literally cannot progress. It's right at the beginning of the mission where you have to fight off a bunch of Reaper enemies and prevent them from taking down a barrier, but you have no access to squadmates and you're expected to get on a gun turret. But there's so many Brutes that just keep coming, and you can't get in there and mix it up with them. All you have is the turret. I can't imagine this is working as intended. 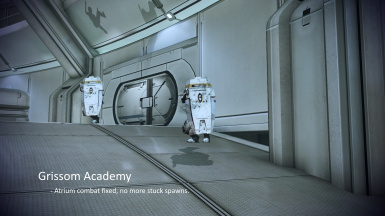 I've been enjoying this mod on Insanity, and I hope there's a way you can tweak this mission to make it feasible. EDIT: Never mind, I got it. I'm guessing this is a dlc mod and I jus put the file into my dlc folder? You should specify that on your description page.